The Honest Betting Reviews series of guides offers simple explanations of complex betting terms in order to break down barriers for betting novices by clearing up areas of confusion and making the uninitiated aware of the types of bet available to them. This guide looks at what rule 4 is when it comes to betting, what exactly it entails. When does rule 4 apply in betting? Rule 4 applies specifically to horse racing and greyhound racing when there are non-runners in an event. If there is a non-runner, but all final declarations have been made and the odds fixed to reflect this, there are industry-wide standards that apply in terms of deductions. 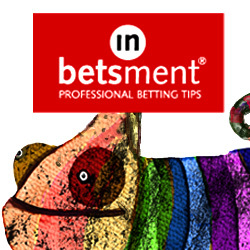 For example, if you have picked the second favourite in a race at odds of 6/1, and the favourite is declared a non-starter right before the race, then the second favourite will become the favourite, even though it had odds befitting that of the second favourite when you placed a bet on it. If the new favourite then wins the race, under rule 4 a set value will be deducted from your winnings to reflect the fact that your selection was the favourite rather than the second favourite. The bookmakers will offer refunds to those who placed a bet on the non-runner..
Rule 4 can only be applied after all final declarations have been made, and this is when those who have backed a non-runner will be refunded. The final declaration stage usually occurs 24-48 hours before the race. How much can be deducted from winnings under rule 4 in betting? Set rules apply in terms of the deductions that can be made under rule 4 in betting, which are followed by all bookmakers in the UK. The amount deducted depends on how likely the non-runners were to win; if the favourite withdraws it makes it much easier for the second favourite to win, but if an outsider withdraws the second favourite still has to beat the favourite, so it is still difficult for the second favourite to win the race. The exact amount deducted is based on the last price the non-runner was offered at because this equates to its chances of winning. So for example, if a horse was 3/1 to win, this means it chances of winning were 25% (i.e. 1oo% divided by the decimal odds of 4.0 = 25%). If that horse is withdrawn and declared a non-runner, then all other horses would suffer a deduction of 25% in their odds if they win. When does rule 4 not apply in betting? Rule 4 in betting does not apply to any ante-post races or futures markets, which involve betting on a race before final declarations are made. If you are unlucky enough to have backed a non-runner before the final declarations are made you will not get your stake refunded. Why is rule 4 in betting called rule 4? Rule 4 in betting is called rule 4 simply because it was the fourth rule in the list of rules devised to govern horse racing by Tattersall’s, one of the organisations that originally coordinated and codified horse racing in the UK and Ireland. So that is another complicated betting term explained. We hope you found this guide helpful and, if there are other betting terms you would like to see an explanation of, check out the other guides on Honest Betting Reviews.